Today, Thursday April 1, is Kaveh Golestan's anniversary. One year ago, Kaveh was killed in northern Iraq while doing what he loved most. A Pulitzer award winning photographer, Kaveh was in Iraq offering a different perspective of war to the world through his camera. And then he himself became part of the tragedy of war when he stepped on a landmine. So ended the life of an accomplished man who was loved by many. 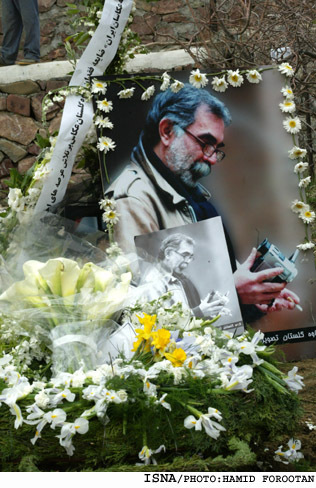 Kaveh was also a great mentor for many of the young photographers in Iran. To continue Kaveh's tradition, and to keep his memory alive, last year Kaveh's family established Kaveh Golestan Annual Photojournalist Award. 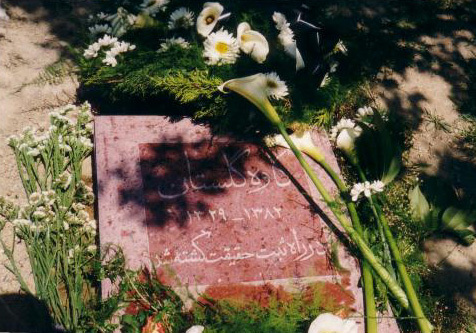 Kaveh is buried in Afjeh, a village up the hill in Lavasanak, east of Tehran. On Friday April 2, Kaveh's family will gather there and remember him. We offer our sincere condolences to the family.